Goku's tail is back and that not only means trouble for Jackie Chun, but also for all of the people watching the fight. Yamcha and co. know what happens when Goku sees the full moon and the night of the final round just happens to be such a night. After being struck by a powerful lightning type of attack that Jackie Chun has only used once before, Goku seems like he is down for the count. Then his gaze lifts toward the full moon and all hell breaks loose. Goku is now a giant ape hellbent on destroying the arena. Jackie Chun, using his craftiness and tendency for overkill, launches a full strength kamehameha wave in Goku's general direction. However, he does not strike Goku with the wave. Instead he destroys the moon itself. With Goku transforming back to his normal self the fight resumes in the form of a "one final attack settles it all" kind of thing. Who will win? Well, it was a shock to me when I first discovered who won, but it makes a lot of sense now in hindsight. The outcome was well done. With the tournament over things seem like they could have come to an end for the story of Dragon Ball. However, Toriyama decides to revisit the concept of villains looking for the dragon balls. Only this time an entire army is after them. 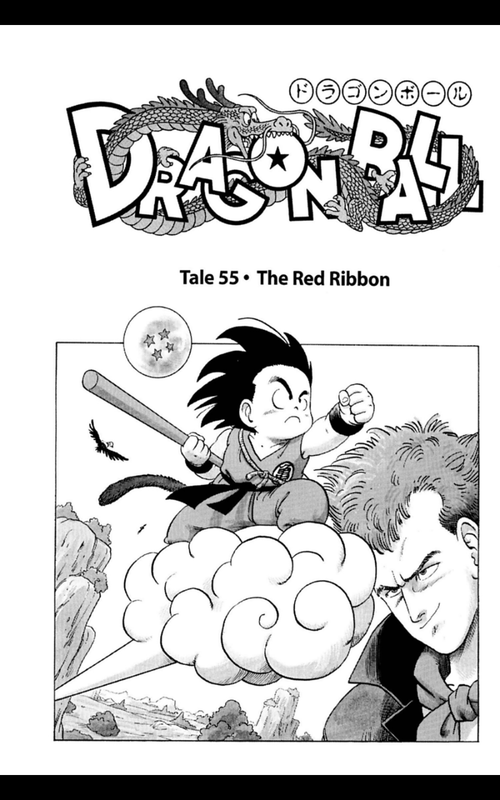 The Red Ribbon Army is Goku's newest foe, but after the glorious tournament arc this newest enemy comes across as underwhelming initially. Mere humans don't seem so fearful compared to Goku's strength. The fight against Jackie Chun set the bar really high and it doesn't seem like the Red Ribbon Army could possibly match it. It kind of feels like Toriyama is just wandering around trying to find a way to make this story become riveting. He made it work, though. 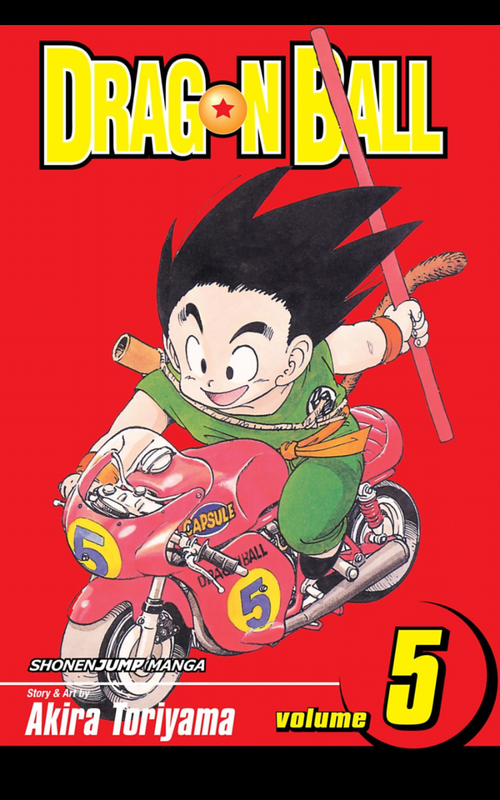 Toriyama is incredibly gifted as an artist and a storyteller. There's a reason he kept going beyond the initial chapters of Dragon Ball. The final half of this volume doesn't seem like much but I know it will get better. The Red Ribbon Army are indeed a fearful bunch.